Time for another ‘smokin’ Hot Seat audio interview. 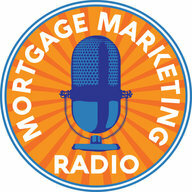 Our featured guest; Michael Dunsky is Senior Vice President of Mortgage Lending with Guaranteed Rate. Michael hails from my old stomping grounds MASSACHUSETTS!Go Red Sox!! Michael has over 24 years of mortgage banking experience and is one of the nation’s most successful loan officers with 2011 personal production of over $50 Million dollars!